Garlic scapes are actually the flower stalks that derive from hard-necked forms of garlic as they grow. They look a lot like scallions…also known as green onions. 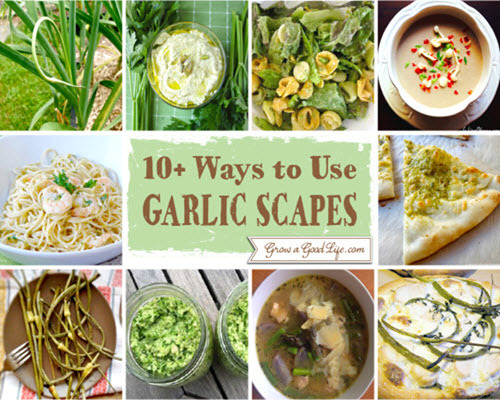 The cool thing is, these scapes can be used in a variety of recipes including pesto and garlic scape dressing.